The Killer View Ainigmata Ostraka points players toward an engraving hidden near a scenic view within Greater Athens. 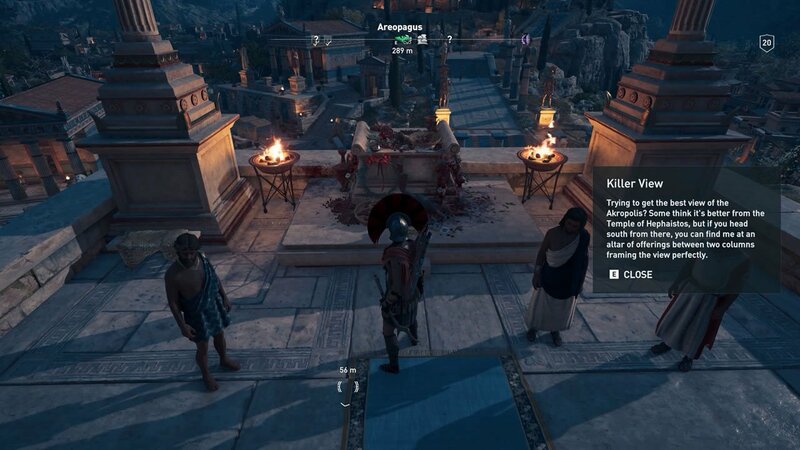 One of dozens of other such Ainigmata Ostraka treasure hunts found in Assassin's Creed Odyssey, the Killer View Ainigmata Ostraka concerns itself with the tablet players will find at the Mt. Pentelikos Marble Quarry. This guide will break down the clue phrase and point to the reward's hidden location. "Trying to get the best view of the Akropolis? 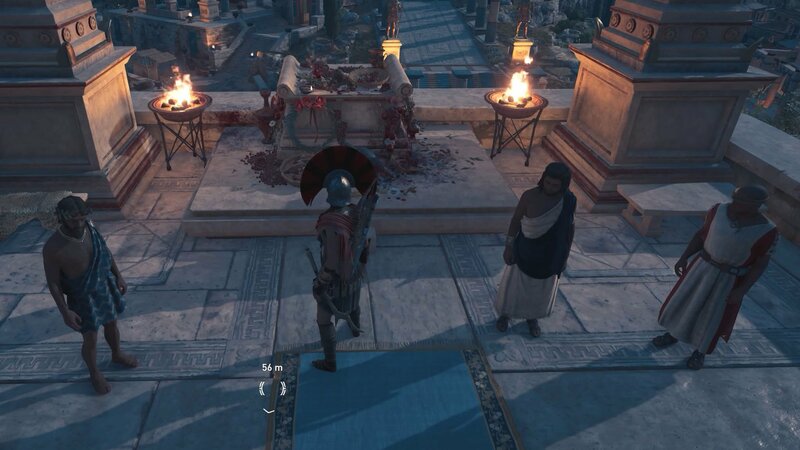 Some think it's better from the Temple of Hephaistos, but if you head south from there, you can find me at an altar of offerings between two columns framing the view perfectly." This clue phrase is incredibly straightforward: within the area of Greater Athens, head due south from the Temple of Hephaistos until an altar flanked by two stone columns can be spotted — it'll be at the end of a road leading up an eastern-facing cliff. Simply approach the altar and press the interact button to claim the reward, an engraving that does an additional 4% damage with both spears and staves. Now that Killer View is out of the way and players have unlocked the hidden engraving, it's time to hunt down the remaining Ainigmata Ostraka and claim all those juicy rewards. 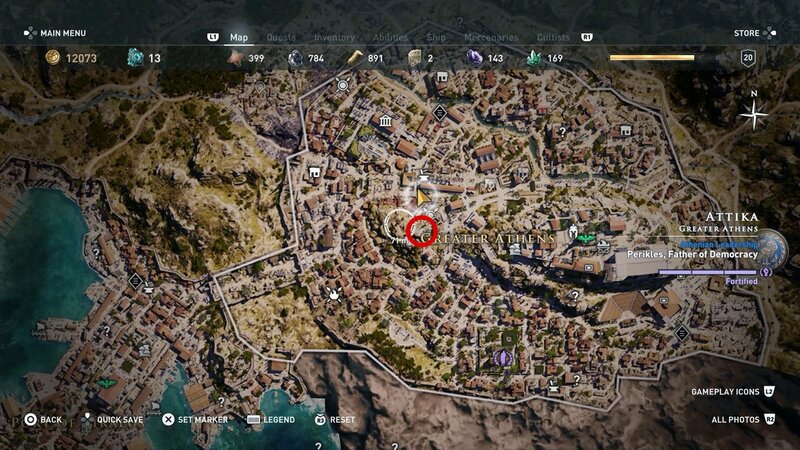 To learn the hunt details and loot locations for the rest, or to learn about other quests, mechanics, or Cultist locations, be sure to stop by Shacknews' Assassin's Creed Odyssey walkthrough and guide.